Some of the most serious and life-changing injuries are those involving the back, neck or spinal cord. Many times, these are paralyzing or permanent injuries¹. The cost of rehabilitation and at-home care can run in the millions. This is an extreme financial burden for an individual and his or her family who has suffered such an injury. Going back to work is very difficult if at all an option. Let an experienced Philadelphia insurance disability lawyer take care of seeking fair disability benefits on your behalf. If you have a back, neck or spinal cord-related injury, contact attorney Keith L. Martin, a disability insurance lawyer in Philadelphia. Mr. Martin is a pre-eminent Villanova long term disability lawyer who serves clients nationwide. His past client testimonials speak for themselves in his dedication and results-oriented representation. 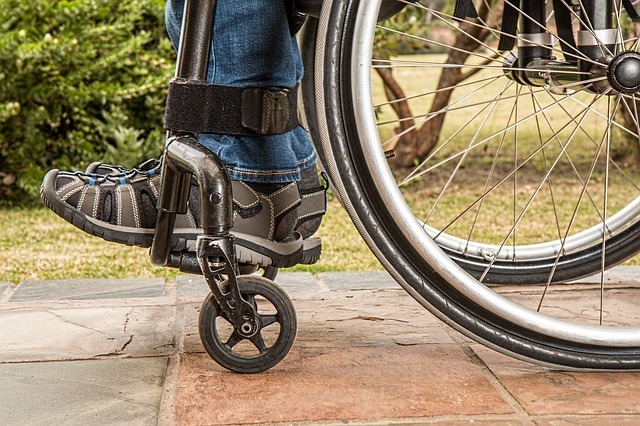 Our Philadelphia disability insurance law firm, Edelstein Martin & Nelson, LLP will work to protect your right to a lump-sum settlement and your right to appeal a denial of your disability benefits. For a free initial consultation with an experienced Philadelphia insurance disability lawyer, call 215-858-8440, toll free 866-532-2504 or contact our law firm online. Neck, back and spinal cord injuries are both financially and emotionally draining. We are here to help you seek a disability insurance claim in order to help you and your family during this trying time. Our lawyers are familiar with the numerous tactics the insurance companies use and we know how to build a strong case for you in court. There are deadlines for filing and appealing a disability insurance claim, which means that sometimes clients approach us when it may be too late. Seek our assistance as soon as possible. Contact us to talk to our Philadelphia insurance disability lawyer in a free consultation.